Your roof faces different weather conditions every day, which is why it is important that you look for the best system possible. As there are many materials on the market, choosing the right roof can be challenging. 1. Durable – Your roof should be able to withstand your area’s climate and extreme weather conditions. This way, you and your family are protected during any season. This also ensures long-lasting comfort. 2. Long-lasting – Some roofing materials last longer compared with others. Metal and slate, for example, can last up to 50 years or longer without requiring too much maintenance. Asphalt shingles typically last 30 years or so. 3. Low maintenance – You should look for a roof that requires little maintenance to save money on repairs or replacement. 4. Environmentally friendly – You can help build a healthier environment when you use recyclable roofing materials. Samples include metal, asphalt shingles, and slate. 5. Energy-efficient – Some roofing materials can reflect unwanted heat away from your home. Metal roofs, for example, come with special pigments that can save up to 40% in energy costs. GAF’s Timberline® Cool Series also have high reflective values that reduce attic temperature. This way, you can maintain a comfortable indoor environment. 6. 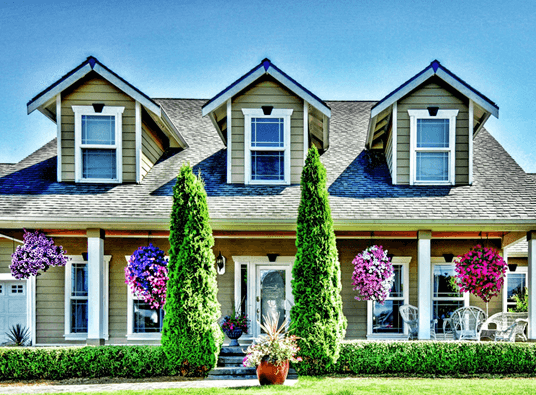 Aesthetically appealing – Curb appeal can affect your home’s property value. Materials such as asphalt shingles and metal come in different styles and colors for a unique look. If you want a classic look to complement your traditional home, you can choose slate or wood shakes. These features ensure that you have the best roof for your home. If you are looking for quality materials backed by manufacturer warranties, trust Tedrick’s Roofing. We specialize in installation and roof repair in Auburn, Kent, Seattle, Des Moines, and the surrounding areas. We also handle commercial roofing services, gutters, attic insulation, solar fans, and skylights. If you want to learn more on how to get the right roofing, call us today at (877) 212-9355. You can also reach us through our contact form.